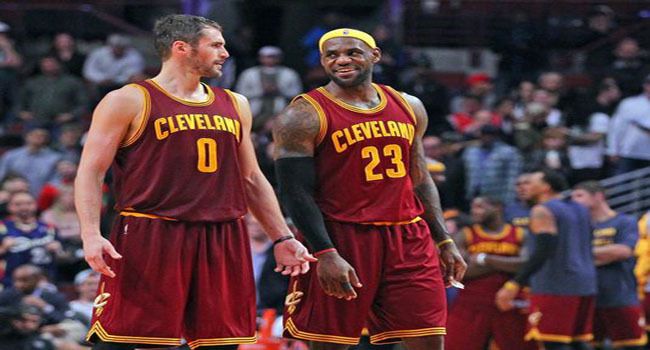 LeBron James and Kevin Love have to stay healthy if the Cavs are to live up their preseason billing. I’m going to do my very best to get back in the swing of the action on the hardwood today because it feels like forever since I’ve discussed it. Rather than jump back in with lines for tonight’s action, I’m going to give you the latest odds on who wins the National Basketball Association title. Odds provided by our friends at Bovada. The Cavs are still the darlings of Las Vegas despite injuries to LeBron James and a less than 100% Kevin Love. Currently, Cleveland is sitting in the fifth spot in the Eastern Conference and they trail Conference leader Atlanta by 12 games. I don’t see the Cavs getting the one seed and you shouldn’t either. The Warriors are sitting in the catbird seat in the West three and a half ahead of Portland. They’ve nine of their last ten games and have lost just once in 19 games at home. Retaining the top spot will not be easy because the Western Conference is still where the powerful teams reside but I expect the Warriors to be in this for the long haul barring injuries. Will Popovich be able to rest his vets and keep the Spurs in the upper half of the Western Conference? The defending champion Spurs are in the seventh spot right now eight games behind the Warriors. They’ve won eight of ten and are just five and a half games out of the second spot held by the Blazers. In usual Gregg Popovich form, he’s making sure the veterans are getting the right amount of rest. My concern for them though is will it matter? The West is so good and young that I’m not sure a repeat is in the cards. Atlanta is far and away the best team in the Eastern Conference and they sit five games ahead of second seeded Washington. They’ve won 13-straight games and are beating teams by an average of almost seven points per game. The one major concern with the Hawks is that their opponents in the East are a far cry from the talent level out west. That said, all the Hawks need to do is get to the NBA Finals where anything can happen. Dallas is tied with rival Houston for the fourth/fifth spot in the West. They’ve won seven of ten including their last two in a row. The trade for Rajon Rondo has certainly paid dividends and his presence will be crucial down the stretch. The Bulls have lost two straight and have won just four of their last ten games. Still, their comfortably in the fourth spot four and a half games ahead of the Cavaliers. My honest question for you if you like the Bulls here is what can you expect from Derrick Rose? OKC is currently sitting in the ninth spot and out of the playoffs if the season ended today. The season doesn’t end today however and that’s good news for the Thunder. They’ve won three straight and six of their last ten so perhaps this team is starting to come together for a second half stretch run behind a healthier Kevin Durant and Russell Westbrook. Washington Wizards 25/1 – With the Cavaliers struggling, perhaps they get by the Hawks and into the NBA Finals. New Orleans Pelicans 200/1 – Right now, the Pelicans are four games out of the eighth spot in the Western Conference and when you have a player like Anthony Davis, why can’t the Pelicans make a run? 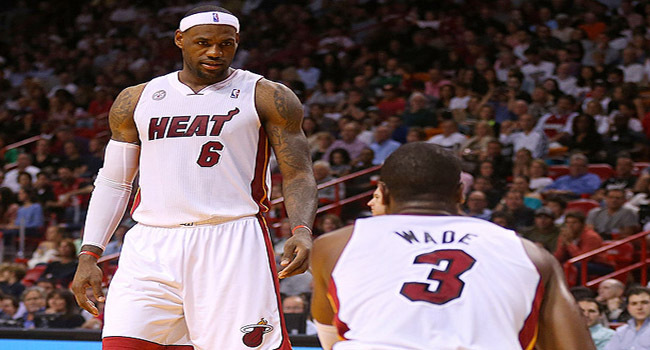 LeBron James' decision could ultimately hinge on what Dwyane Wade does as well. Almost a full week before he was required to, LeBron James announced yesterday that he was opting out of his current contract with the Miami Heat. This choice makes James a free agent and the topic has now dominated the airwaves as speculation ramps up as to where he will go. What we we need to recognize first is that there is a very good chance that James doesn’t go anywhere. His decision could be a move to get both Dwyane Wade and Chris Bosh to opt out as well. The goal here would be to sign for less, create more cap space and then go out and get more talent. James wants assurances from Pat Riley and the ownership of the Heat that they are are willing to do this. Becoming a free agent allows him to go elsewhere if he feels they aren’t doing that. Four years ago, James committed one of the worst faux pas’ in the history of public relations when he announced he was “taking his talents to South Beach.” I’m pretty confident that we won’t see a similar type of ESPN production when James does come to a decision but then again who knows? So where will LeBron go? Here are some possible destinations. Why Miami? – James will return for the reasons I mentioned above. There has been some discussion that should the ‘big three’ take less money that Carmelo Anthony would do the same and join them. I don’t see this happening, but Miami could add some more shooting and more production at the point. Why Not Miami? – Who’s to say James isn’t ready for a new challenge? Perhaps he wants to go somewhere that he can win but also do so without fellow hall of famers around him. Could LeBron go back to Cleveland and join All-Star pint guard Kyrie Irving there? Why Cleveland? – What a story it would be to have him return to the place that he scorned four years ago. As Brian Windhorst of ESPN points out though, this won’t be an emotional decision because the first time around wasn’t an emotional decision. The Cavs have an excellent point guard in Kyrie Irving and the number on pick in tomorrow night’s draft. They also have the possibility of making a deal or two to bring aboard a top notch free agent. Why Not Cleveland? – I have to believe there is still an open wound that exists between Cavs’ owner Dan Gilbert and LeBron. It was very ugly when James left and a lot of bridges were burned so I just don’t know that this is best decision for James both for personal and professional reasons. Why Chicago? 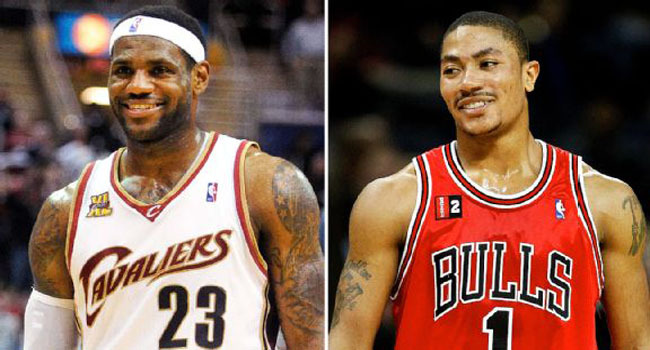 The Bulls would have a tremendous roster in place which would be very enticing for James. Derrick Rose, Joakim Noah and company could be a great fit for James and with the Bulls moving everything downtown now, James could live right in the city. The Field – I cannot see LeBron James going to a team in the Western Conference. It is by far a more demanding and more competitive conference. That would significantly reduce his opportunities to win titles. I honestly think that he will return to Miami but the other thought I had was could there be a sleeper team? A team that could perhaps bring aboard Anthony as well could be in play. At this point, I think there are a number of strong possibilities and those will change as LeBron speaks with people and you can bet, he’ll be speaking with all kinds of people too. There just isn't a viable excuse for Rose to not be on the court at this point. As severe knee injuries go, Chicago Bulls’ all-pro guard Derrick Rose’s was pretty routine according to doctors. I’ve never suffered a severe injury (knocks on wood) so I’m not going to sit here and tell you I know what Derrick Rose has gone through, but something just isn’t right. I can’t even begin to tell you how many conversations I’ve had with friends and colleagues about Rose’s situation but I know I’ve had a lot of them. They’ve ranged from “he’s being given bad advice from his agent” to “he’s just scared to play” to “he knows the Bulls have no chance so why risk it.” Talk to actual Bulls’ fans and you’ll find that sentiments are similar yet have much more inappropriate language. What we know is that Derrick Rose injured his knee in last year’s playoffs and was pronounced ‘physically ready to play’ back in early March of this season. 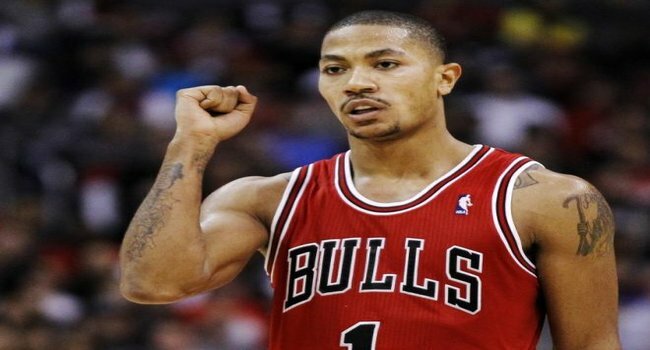 He has yet to appear in a game since he left that court that night and now that we are more than two months past the time doctors said he was ready, questions have emerged about Rose’s mental state. It doesn’t help of course that Adrian Peterson of the Minnesota Vikings returned in just nine months from his knee injury to rush for over 2,000 yards and claim the NFL’s Most Valuable Player award. The pressure has been so intense through the playoffs that his teammate Joakim Noah had finally heard enough and snapped hard at reporters he sensed were questioning Rose’s toughness. If Rose just hasn’t reached the point where he is mentally ready to compete, I respect that. Injuries affect all of us differently and if he is laying awake at night worrying about damaging that knee the next time he comes down the court I get that. The problem I have with that argument in Rose’s case however is that he has participated, allegedly, in full-contact practices with his Chicago teammates. If his mental readiness were truly in question then how was able to compete so hard in practice? Again, these are just reports that say he was playing hard and in game conditions but they come from several players and even team doctors who cleared him. If I’m the Chicago Bulls, I have to be beside myself. My best player is refusing to play even though he has been 100% cleared to do so. 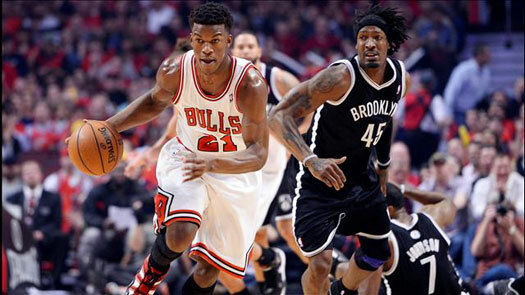 There is growing sentiment that his agent, former Bulls’ guard B.J. Armstrong, is spear-heading the decision to keep him on the bench. Rose was traded by the Bulls back in 1997 almost immediately after criticizing the front office and insiders say he has never really forgotten that. Could his grudge be affecting Rose? Or is it Rose’s brother who is also believed to be meddling worse than Scooby-Doo and the gang. Chandler had some comments about the Knicks poor offensive showing. Whatever it is, Rose is not doing himself any favors by continuing to sit. His teammates have left it all on the floor in beating Brooklyn in seven games and now in their duel with Miami. That can’t sit well in his gut as he sits there on the bench. I can’t think for Derrick Rose but I certainly can’t find any reason why isn’t playing. New York at Indiana (Pacers lead 2-1) – The Knicks are squabbling and the Pacers are great at home. New York is a five and half point underdog which I’ll take the action on. Problem is, I like Indiana to win. Golden State at San Antonio (Series tied 2-2) – After the overtime thriller won by Golden State, we have a best of three remaining. The Spurs are favored by seven and I like them to win, but I like the Warriors to keep it tight. The article you’re reading now was actually written last night. Actually, I’m sitting here watching the New York Knicks completely demolish the Indiana Pacers. As I glance at the television, I see the Knickerbockers have built almost a 30-point lead and will certainly have evened the series at a game apiece as the two squads head to Indiana. While this was actually a close game through three quarters, the blowout illustrates just how difficult betting the NBA Playoffs can be. While I thought New York would bounce back from their game one defeat I certainly couldn’t have predicted that it would come in this particular fashion. This was essentially a ‘must-win’ game for the Knicks because Indiana is just too good at home for New York to win four out of the final five games. Therefore, was the win expected? Of course it was but we’ve also seen very similar situations play out completely different. 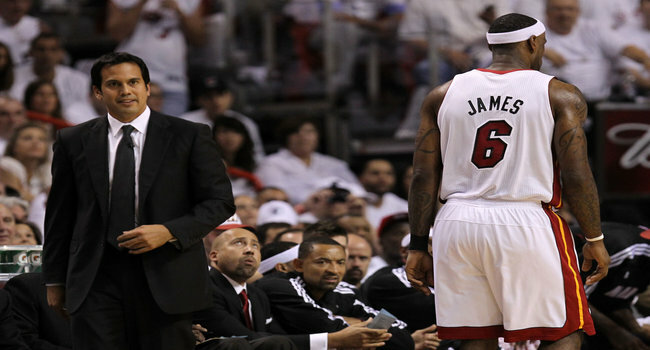 Monday night, the Miami Heat returned to action after a layoff of approximately eight days. The Chicago Bulls meanwhile, had played a game seven on the road just 48 hours before with a team that looked more like a MASH unit then a basketball team. Any moron with a brain wave would have gone with the Heat to win right? As you know by now, the Bulls went into Miami and beat the Heat in game one to steal home-court advantage. Already, Chicago has announced that Luol Deng and Kirk Hinrich will not play in game two. Automatic win for the Heat then right? Well, in this case, yes. Hinrich is expected to be out again for the Bulls. There is no way possible that Miami will lose tonight in game two. If you are the type that believes in wake-up calls then the Heat received theirs in game one. LeBron James is not the best player in the world because he enjoys challenges. He is the best player because he will rise to the occasion and bring his teammates with him. So what will be my explanation if somehow the Bulls pull off another huge win in game two? I honestly don’t know but I’m not exactly going to beg for forgiveness because this is the NBA Playoffs and what we have found more and more is that unpredictability is a reality. My grandfather used to tell me all the time that one of the most misunderstood and under-appreciated aspects of sports and especially the playoffs was the psychology involved. Mike Woodson of the Knicks is a perfect example. His Knicks were terrible in a game five loss but bounced back on the road in Boston for the series win. As I detailed in the opening, the Knicks were pretty bad in game one of the series against Indiana but bounced back last night. Whatever Mike Woodson does to change things from one game to the next it works and I have to think much of it is psychological as it is tactical. Athletes are and always be people who are motivated by different things and when you challenge them they more often than not rise to the occasion. As someone wagering on these athletes you really do have to consider every possible factor from game to game before you lay your hard-earned money. Chicago at Miami (Bulls lead 1-0) – The Heat are 12-point favorites which tells you that Vegas expects them to bounce back and so do I. Take them to cover. Golden State at San Antonio (Spurs lead 1-0) – I’m a little surprised that the Spurs are listed as 8 point favorites tonight considering they were just about buried in game one before rallying. I love Golden State tonight and you should too. The Chicago Bulls have had a bit of an up and down season without star Derrick Rose, but one thing they have been consistent with is ending opponents’ win steaks. The Bulls enjoyed busting the Miami Heat’s incredible 27-game steak earlier this season and there’s no doubt that they were thrilled with their stunning 118-111 overtime against the New York Knicks on Thursday, as they snapped the longest streak the Knicks had seen in 19 years. Of course, after the win, the Bulls were saying all the right things. Robinson certainly appeared to be in top form on Thursday himself, as he lit up the scoreboard with a 35-point performance. Jimmy Butler added 22 points of his own and Luol Deng added 16 of his own as the Bulls enjoyed a rare offensive outburst. The Bulls have been known as a hard-nosed defensive-minded team all season – which is, in fact, how they snapped the Heat’s streak – but on Thursday they needed to score. They still didn’t have an answer for Carmelo Anthony, who set a new franchise record by scoring 35 points or more (he finished with 36) for the sixth consecutive game. So, there was one streak that was left intact. Of course, Chicago will be happy to take the win, which completes a surprising four-game sweep of the Knicks this season. You could imagine that the Knicks wouldn’t want to encounter a team that clearly has their number come playoff time, but New York – at least Anthony – is still confident his squad can beat anyone. 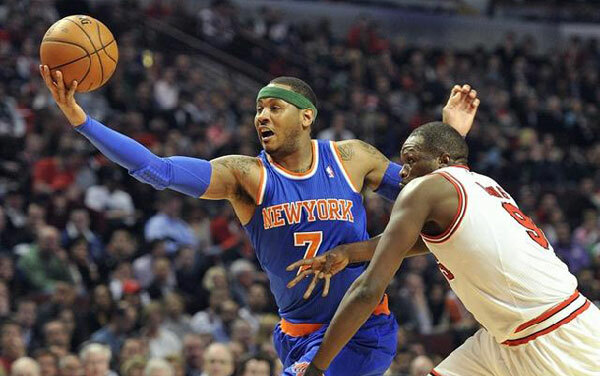 After witnessing this impressive steak, most bettors will certainly put more stock in the New York Knicks, but one team they can’t overlook in the Chicago Bulls. Although the Bulls have struggled at times, they are a squad that can wear teams down and, as we’ve seen, knock off some of the best the NBA has to offer, even when those teams are at their hottest. With around 25 games remaining in the regular season, the playoff pressure is beginning to ramp up for some NBA squads, while others (ahem, the Heat) are starting to show their dominance. We’ll see all of that and more on display today as the Association has a juicy nine-game slate for us to sink our teeth into. 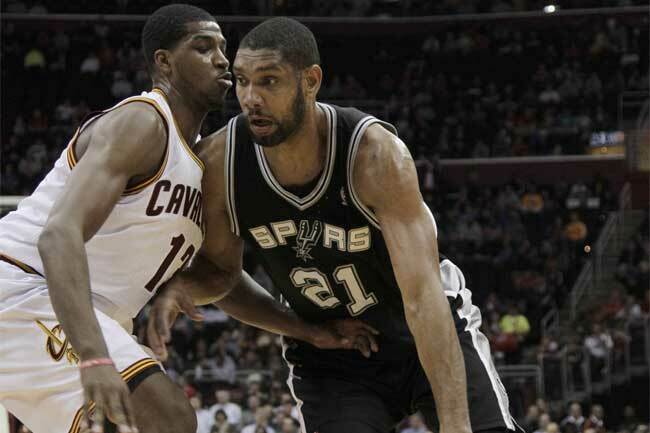 Here are our quick picks for eight of the nine games in the NBA today. It’s no secret. 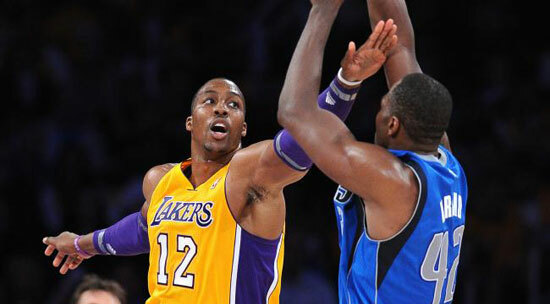 The Lakers have been the biggest disappointment of 2012-2013, but they are playing better lately. They’ve won seven of their last 10 games, including the last two. The teams have split the season series so far, going 1-1 against one another, but with the Mavs at home and also playing well (three-game win streak). I like Dallas to take this one, covering -3. The Warriors hit a rough patch in recent weeks, but they are starting to get back on track, as they’ve won their last two games. Meanwhile, the T-Wolves continue to struggle without their star Kevin Love. Take the Warriors to cover -1.5 and win on the road today. Considering the Hornets have been worse at home than on the road and considering both teams are on losing streaks entering tonight’s game and each have the exact same record, this one is a toss-up. For that reason, take the Kings to cover +6. With the Heat playing their finest basketball of the season, they are getting a huge spread against the struggling Cavaliers. The Heat have won 10 straight and there’s no question they should defeat the Cavs on their home floor, but I just hate these huge spreads. All the Cavs need to do is play halfway decent and they will cover this spread, even on the road. The Heat will win, but it’s safer to take Cleveland to cover +13. The Spurs are also getting a large spread and will be on the road today, where they have only been half as strong – 22-11 compared to 22-2 at home. The Suns are certainly struggling as losers of eight of their last 10, but they should be able to cover +9.5 today in the loss. Despite dropping their last seven games, the Blazers are getting two points at home against a Celtics team that has played well recently, winning seven of their last 10 games. Even though the Celtics have been atrocious on the road, I can’t go against the recent trend here. Portland will break out of its funk, but no tonight. Go Boston to cover +2 in the win. Both teams have struggled a bit recently, but the Thunder are getting nice odds to win at home, where they are 24-4 this season. There’s little doubt that they will do it, but Chicago is too good defensively to get blown away, even by the Thunder. Take Chicago to cover +9 in the loss. Both teams are coming into this game on four-game losing streaks, so it’s hard to imagine liking the Knicks by more than a few points against anyone right now. Play this one safe and take the Sixers to cover +10.5 on the road. With Tim Duncan's availability in question, Chicago is favored over San Antonio on Monday night. After what was another awesome weekend of college hoops, it’s time to change gear – hesitantly we might add, especially with the Kansas State-Kansas game taking place tonight – and take a look at the pros. With eight games on the NBA schedule tonight, you’ve got plenty of action to choose from, but Casino Review has picked out three prime cuts for you to sink your teeth into, starting in Indianapolis. Indiana (31-20, 20-4 home) suffered a rare home loss on Friday, falling to the unlikely Raptors in overtime. Now Frank Vogels’ side will look to return to winning ways, and set about making the Bankers Life Fieldhouse a fortress once again. The Pacers had won 14 straight in the building before Friday’s loss. Brooklyn (29-22, 11-12 road) has hit a rough patch of late, losing two straight, three from the last four, and six from the last nine. This slump has seen the Nets fall to the No. 5 spot in the Eastern Conference, just one game ahead of Atlanta. The Nets are also four games behind Atlantic Division-leading New York. Expect a methodical, hard fought game, as both sides excel at restricting opponents’ scoring. The Pacers allows just 90.2 points per game (2nd) while the Nets allow 94.6 (5th). Indiana is No. 1 in the league when it comes to opponents’ field goal percentage, allowing teams to shoot a stingy .419. This Season: Brooklyn handed Indiana a 97-86 loss on Jan. 13 at Barclays Center. After Monday night, the two sides will meet once more this season, on Apr. 14 in Indianapolis. Take: INDIANA – Friday night’s loss to Toronto was just a blip on the radar, and the Pacers will be ready to lock down the Nets on Monday night. Take Indiana (28-23-0 ATS) to cover the spread, despite doing so less than half the time at home; Brooklyn (22-27-2 ATS) has not fared well against the spread this season. Take the total to go under, as has been the trend with both sides this season. Whilst a game between the Bucks and Wizards might not strike you as being must see TV, this could actually be one of the night’s more interesting games. Milwaukee (25-24, 13-11 home) has slipped off the pace in the central division, and has also fallen behind the Celtics into No. 8 in the Eastern Conference. Between now and April, the Bucks could face a tough time holding onto that final playoff berth, even if the conference looks like a car wreck between positions nine and 15. Washington (14-35, 3-21 road) was the laughing stock of the league for the early part of the season, but the Wizards have slowly been picking things up. It may come as a surprise, but the D.C. side has won three in a row. A win in Milwaukee will secure Randy Wittman’s side its longest winning streak of the year. The Wizards have struggled on the road though, having lost four straight away from the Verizon Center. Milwaukee is susceptible though, having lost three straight and five from six. The Bucks have also lost five from six at home. This Season: Milwaukee won on the road in Washington on Nov. 9, defeating the Wizards 101-91. The two sides will meet again on Mar. 13 in Washington, following Monday night’s game in Milwaukee. Take: WASHINGTON – Whilst the Wizards have struggled on the road, the side is due a win outside of D.C. and Milwaukee is ripe for the pickings. The Bucks look to be going nowhere but down, so Washington can score an upset here. Consider the Wizards (31-17-1 ATS) are also the league’s best team against the spread, so even if you’ve got the Bucks straight up, take the Wizards to cover. Take the total to go under, a trend that has been associated with both teams this season. After losing three in four, Chicago (30-20, 15-11 home) scored a 93-89 victory over Utah on Friday bringing a six-game road trip to an end with a 3-3 record. The Bulls return to the comfy confines of the United Center for one game before heading to Boston on Wednesday. San Antonio (40-12, 18-10 road) is on an extensive road trip of its own. With the rodeo in the Alamo City, the Spurs have gone 2-1 in the first three games of a nine-game road stint. Fortunately for the side, the All-Star break will give the team a brief respite. The Spurs served the Nets a lopsided 111-86 defeat in Brooklyn on Sunday night, and will look to fend-off the defensively-minded and resilient Bulls. That’s a tough task though as Chicago has won four straight home games and five of the last six. This Season: Monday marks the first meeting between the sides this season. They’ll meet again on Mar. 6 in the Alamo City. 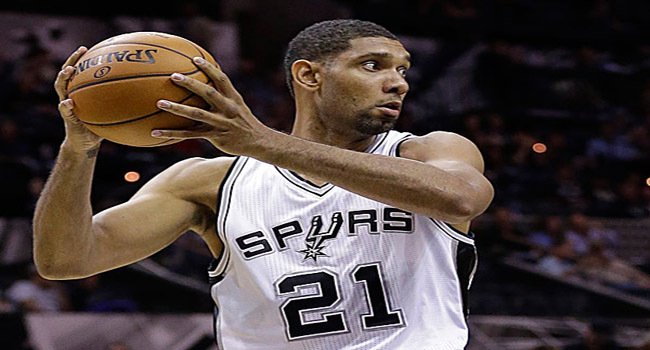 Take: SAN ANTONIO – Chicago will be the favorite due to the availability of Tim Duncan and Manu Ginobli being uncertain. However, despite better form of recent, Chicago has not been all that successful at home, especially against the spread. The Bulls (21-29-0 ATS) have compiled a 7-19-0 record against the spread at home. Meanwhile, San Antonio (29-21-2 ATS) has a winning record against the spread (and straight up) on the road and at home. Take the total to go under, something that is not uncommon in Chicago, and not uncommon when the aged Spurs take to the hardwood.